Some time ago, while I was reading “Metro 2033. 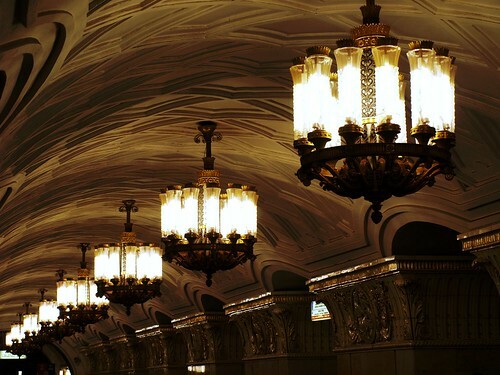 The last refuge” of Dimitry Glukhovsky, I dreamt at least two nights with that apocalytic Moscow metro described in the novel. A really scary place. Maybe that’s why I felt like writing something about this legendary underground labyrinth. 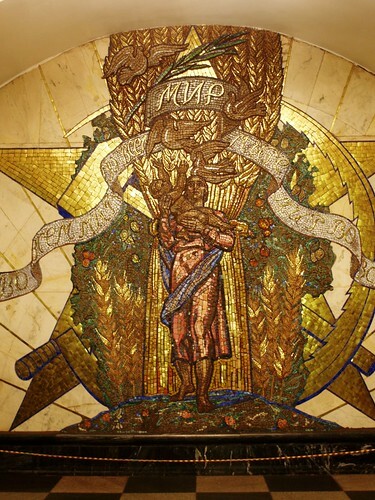 The Moscow Metro was begun under the rule of Stalin. The idea was that it should become a place to arouse admiration. 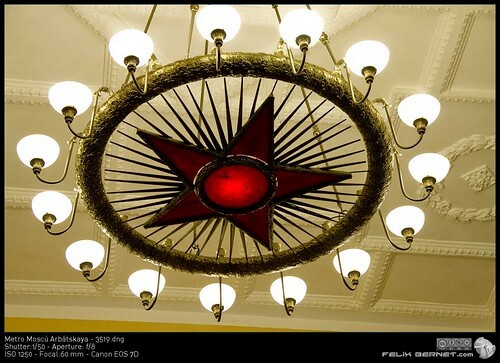 It had to show the best of the Soviet architecture and design in order to people who went down thought about how privilegied were the russians. Thus, some stations exhibit an impressive display of political ornamentation. 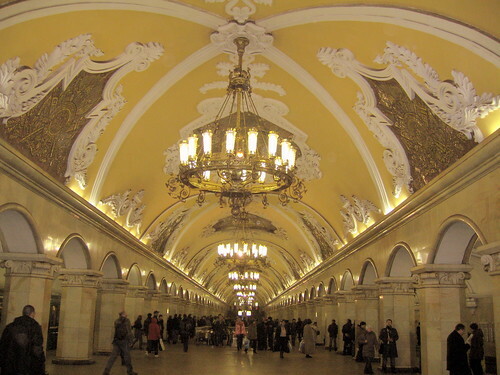 Adorned with gleaming marble, chrome, stained-glass windows, a complex statuary and a perfect work in mosaics, the metro was a real monument to Socialism. 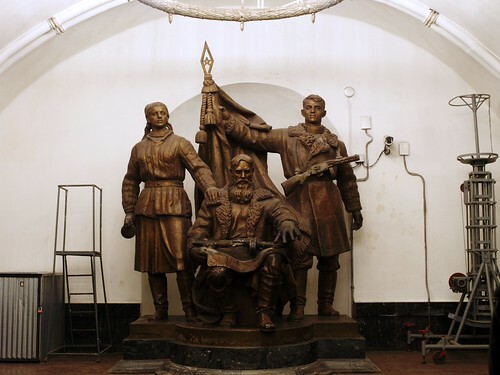 The first subway line opened in 1935 between Sokolniky and Komsomolskaya, and the construction continued during the 30’s and didn’t stop until the World War II (Great Patriotic War in Russia). 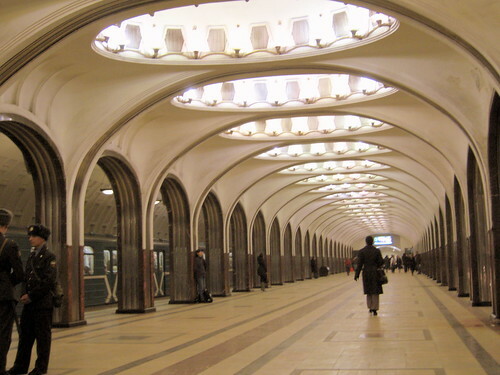 During the siege of Moscow, between autumn and winter of 1941, the metro stations were used as anti-aircraft shelters. The Council of Ministers moved its offices to the Mayakovskaya station, and this was the place too chosen by Stalin to give some of his speeches. Years later, during the Cold War, a new and more deep line was built, the Arbatskaya. This new construction responded to the plan of using the line as a refuge over the possible outbreak of a nuclear war against USA. One of the famous rumours circulating (never verified) is that of “Metro-2”. It is supposed to be a tunnel network, begun during the rule of Stalin, that would allow the authorithies to scape in case of an emergency. It is said that this network was amplified during the years, forming a structure criss-crossing the city. These underground lines would be metro deeper than the public ones, and would be in deplorable condition. Another legend says that there is a huge underground city beneath the area of Ramenki, reachable by “Metro-2”. It was supposed to serve as a bomb shelter, designed to accommodate between 12.000 and 15.000 people during 25 years. 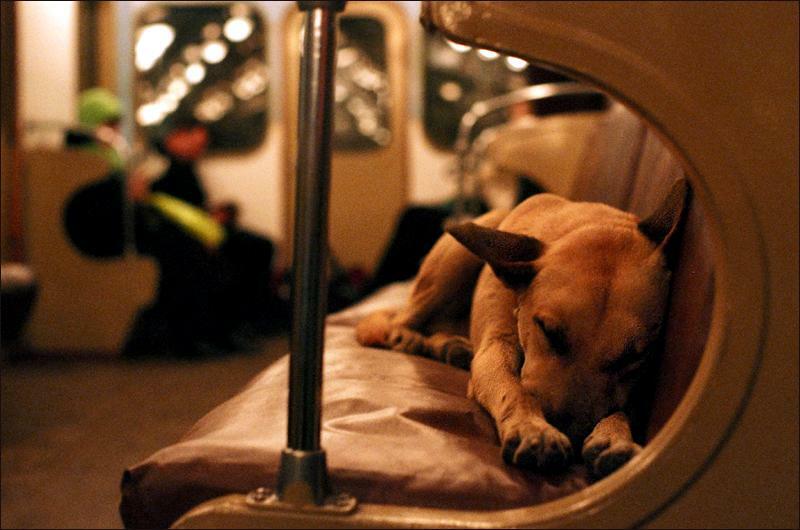 A very curious story: The lost dogs of Moscow Metro. 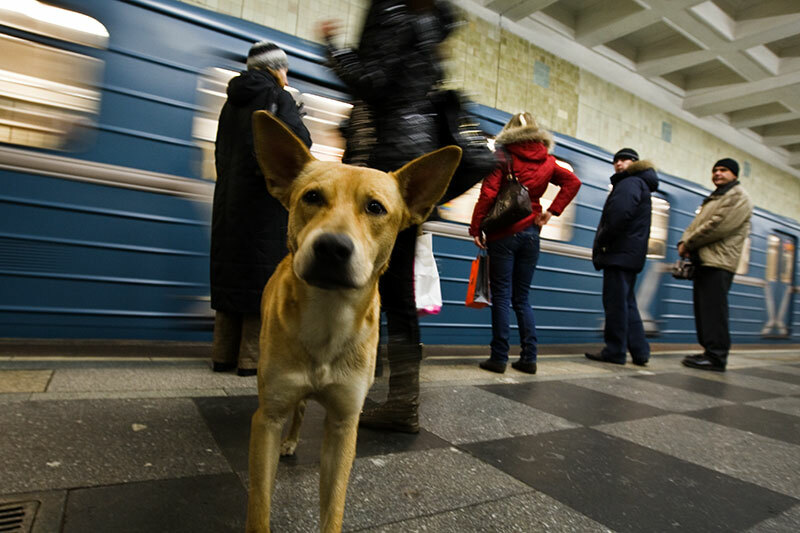 In soviet times, dogs were banned from entering the Metro. Today things have changed, and they sleep in the empty chairs, touch to the passangers with his nose and make life in the stations.